Nick Tangen credits his father, a Local 49 operator for 30 years, for getting him interested in the industry. “My dad often told me it’s not always easy work, but it’s the best union to be a part of, raise a family on and know you’re secure,” said Tangen who has been in the Local 49 Crane Apprenticeship Program for a year and a half. Tangen has completed both Phase One and Phase Two of the Crane Apprenticeship Program, and says it’s a lot more work than what the public may believe. “It’s a lot more complex than I ever thought; I think to the public it looks like we’re just sitting there pulling levers, but there’s so much more to it than that,” Tangen stated. While Tangen is focused on operating cranes, he said he is looking forward to taking other classes to broaden his heavy equipment knowledge. “I really want to take a pile-driving class and get into more of the dirt side—just to expand my knowledge in case I ever need to find a job that isn’t crane related,” Tangen said. 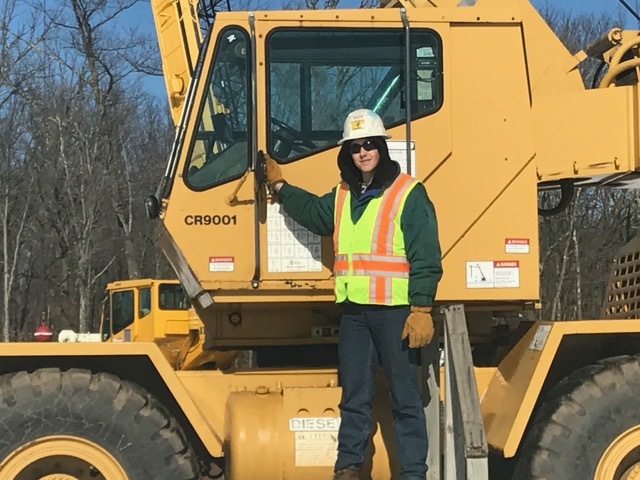 While in the Apprenticeship Program, Tangen received some real on-the-job experience working for several contractors such as Vic’s Crane Service, Lunda Construction and Schroder Crane Rental. Tangen said one of his more memorable on-the-job experiences was working at the St. Paul Park Refinery. “Refineries are incredibly safe, and they do everything by the book so I got to learn how to tear down and move cranes around, and how to make the perfect pic,” he said. “Refineries are a different ball game than building a bridge, for example, so I thought it was memorable learning how the refineries do it compared to everyone else,” Tangen added. Tangen said that the Apprenticeship program prepared him for his real on-the-job experiences. Tangen also noted that he makes it a point to try and make it to every union meeting and encourages every member – particularly younger members – to attend. For more information on the Training Center and more stories like Nick, visit www.local49training.org.